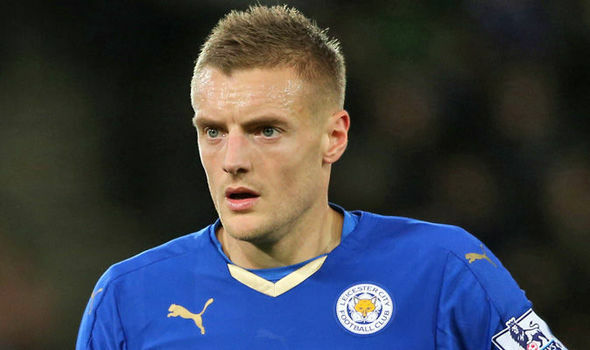 Jamie Vardy is on Diego Simeone’s list of transfer targets for this summer, according to reports. Vardy has enjoyed a renaissance after a slow start to the season, finding form after the arrival of Craig Shakespeare at Leicester City. Leicester faced Atletico Madrid in the Champions League quarter-finals, with Diego Godin admitting that Atleti would love to have a player like Vardy. Writing for the Independent, Miguel Delaney writes that sources close to the club have said that Simeone was impressed by Vardy over those two legs, and feels that he could be an important addition to Atletico’s forward line. It would certainly be one of the most surprising moves of the summer. Vardy rejected a move to Arsenal last summer, but is not obviously suited to forging a career abroad, particularly not so late in his career. In addition, he would surely not be first choice at Atleti, even if Antoine Griezmann is sold.